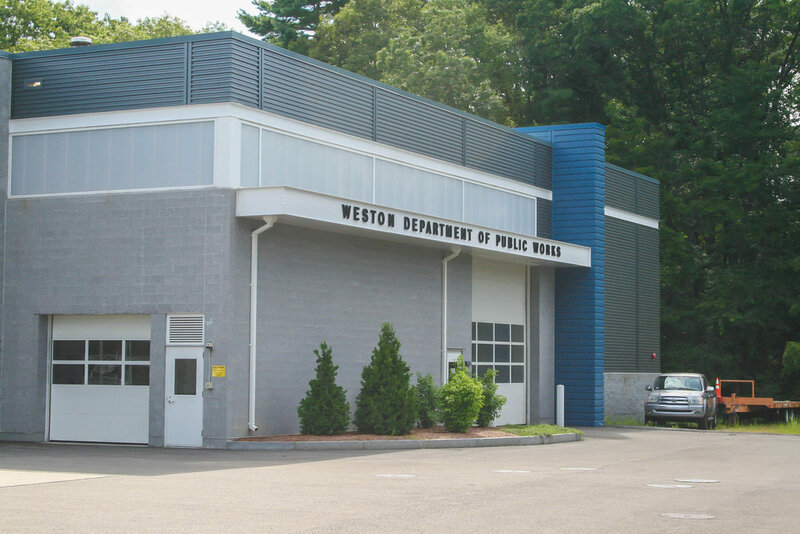 The existing DPW facility shared a site with the Weston Police Department and consisted of several outdated and undersized buildings, including a 1953 garage and trailers housing administrative functions. The site abuts a residential neighborhood to the west, and due to a significant change in elevation, the neighboring houses looked down upon the old DPW yard with little protection from noise and fumes generated by vehicles and equipment. 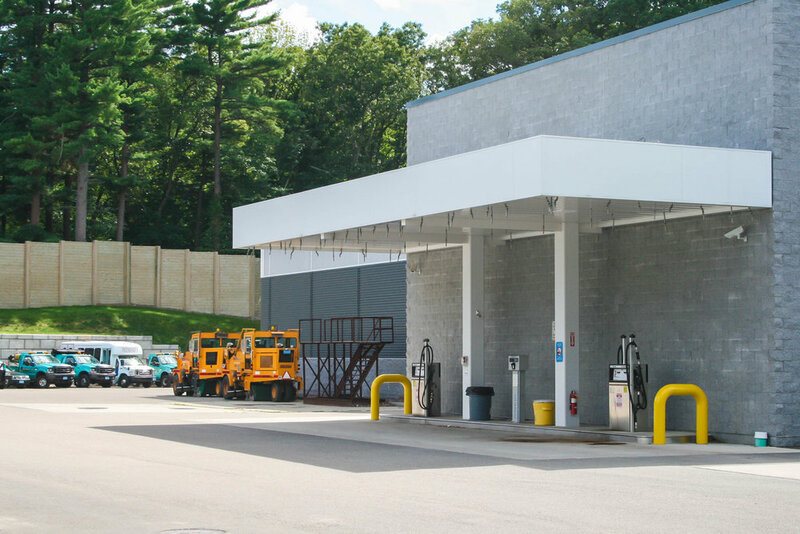 HKT provided programming, planning, and design services for a new facility that would meet the needs of the DPW, incorporate sustainable features, and reduce the impact on the neighbors. The new facility consists of two separate buildings. The Vehicle + Equipment Operations Building is situated to buffer the neighbors from sound, light, and vehicle exhaust within the DPW yard. 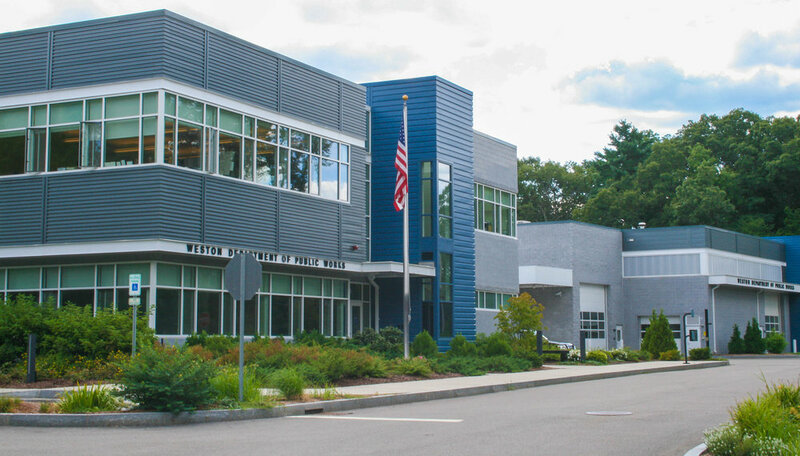 The Administration + Workshop + Maintenance Building is located adjacent to the existing police station, creating a public face to the municipal campus. The two buildings surround and enclose the DPW yard, providing a safe and secure outdoor work area for employees. 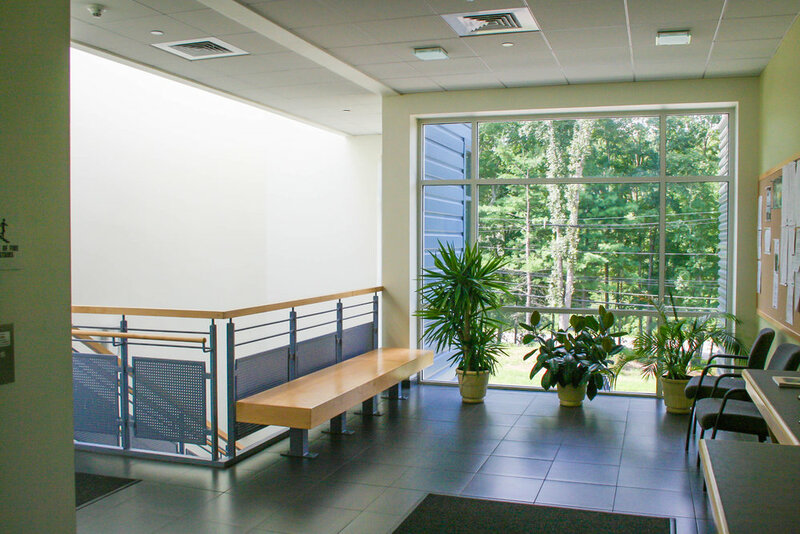 Sustainable features include rainwater harvesting for washing vehicles, daylighting in all occupied spaces, increased indoor air quality, and energy efficient mechanical equipment and lighting. *HKT is the Architect of Record and was responsible for programming, planning, and design and architectural construction administration.